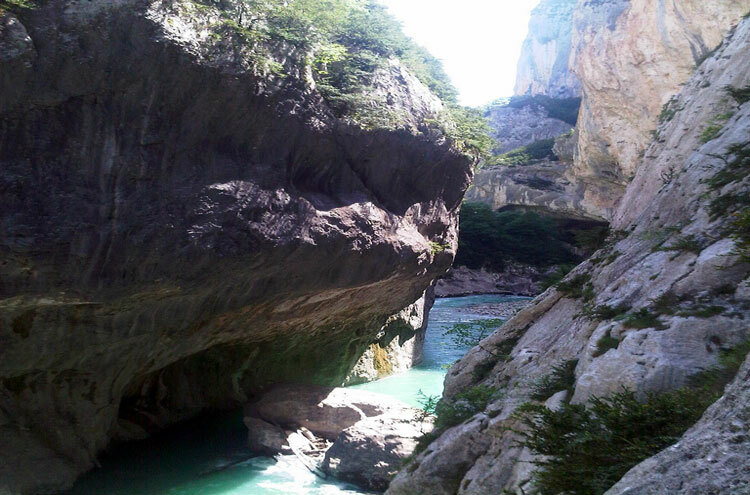 Encounter the enormous, calcareous cliffs of the Verdon Gorge, claimed by some to be the deepest gorge in Europe. Abundant wildflowers, plant life and wildlife across a huge, unspoiled and undiscovered area of exquisite natural beauty. 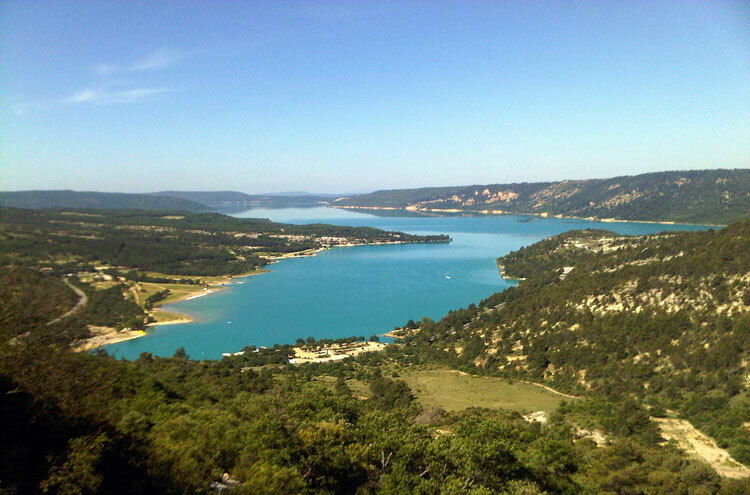 Enjoy varied trails, one day to seven or more, either through the dizzy depth by the azure waters of the Verdon River, or along the rim. Myriad cultural interests too, with the heritage and cuisine of the Provence region. 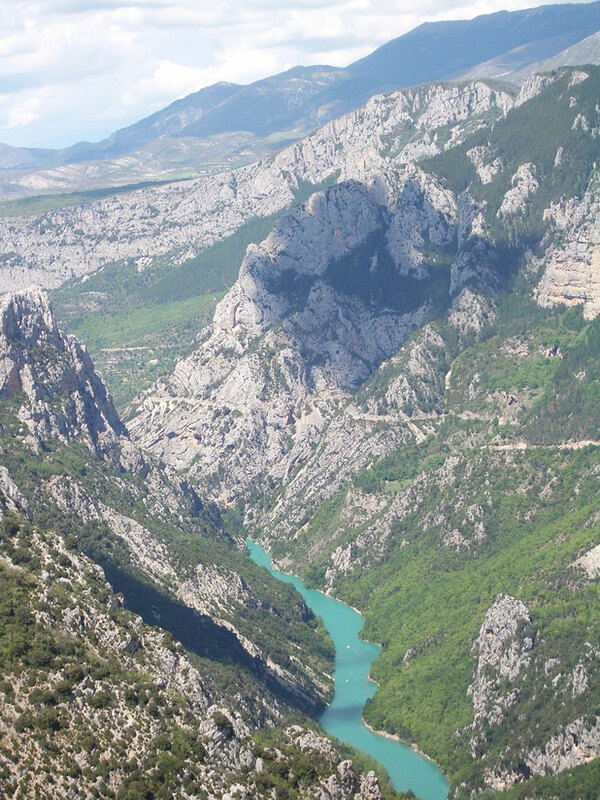 The most sensational section of the GR4 route, which spans France from its south-east coast to its west, is the (up to) five days around and through the Verdon Gorge in Provence. Starting at its trailhead proper takes in everything from Grasse, perfume capital of the world and gateway to the Maritime Alps, to Moustiers Sainte Marie at the end of the extraordinary Verdon Gorge. It is possible to start from other points such as St-André-les-Alpes (accessible by train from Nice). If you are short of time, you can start at Castellane or Rougon for a single day walk. 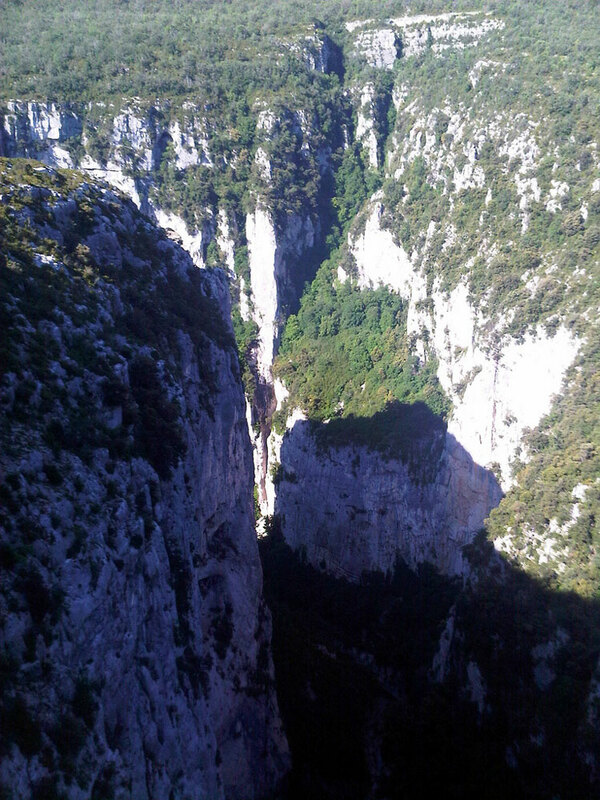 This precipitous limestone gorge is the undoubted highlight, although lush and perfumed Provence is far from dull. 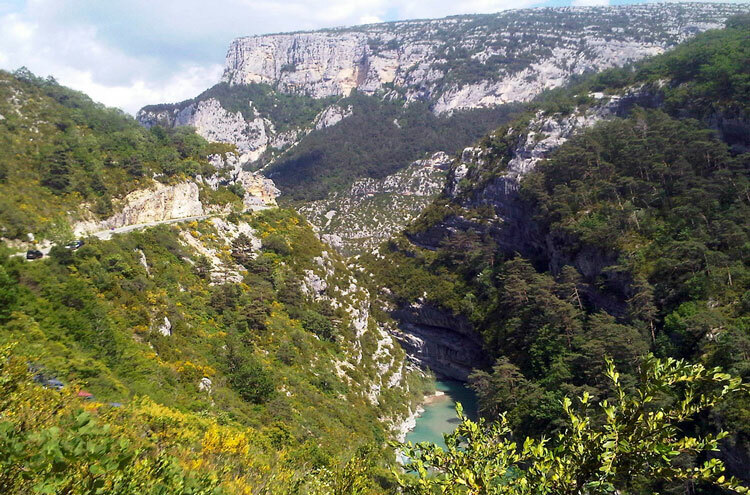 Nevertheless five days can easily be cut to one by focusing on the key sections: the Sentier Martel route through the gorge itself can be done in a single day, as could a Lower Verdon Gorge trail (see Cicerone: Provence). 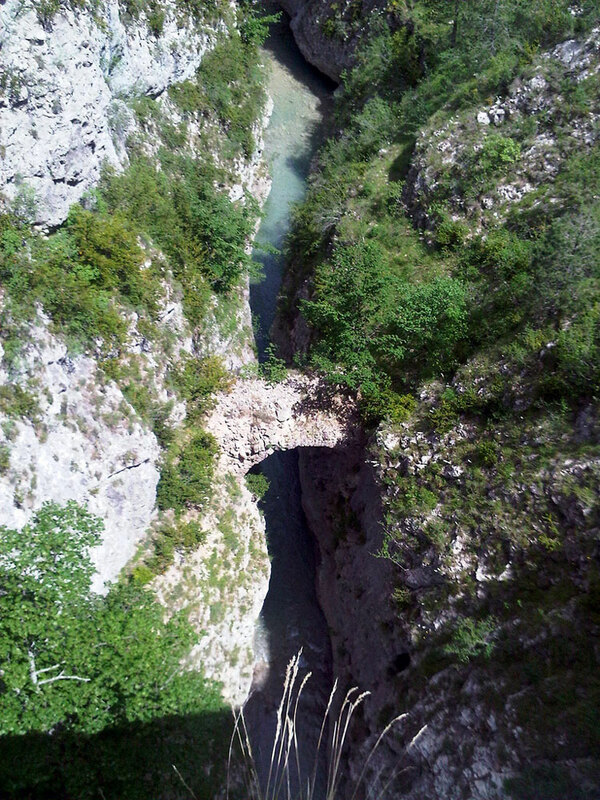 The gorge is claimed to be the world's second largest (although disputed - the relative perpendicularity of gorges' walls seems to be the moot point and wher the high points are measured from), at over 20km long and up to 300m deep due to millennia-old negotiations between now precipitous limestone walls and the startling turquoise waters of its eponymous river. Inside, there are enough natural features ? in addition to the gorge itself ? 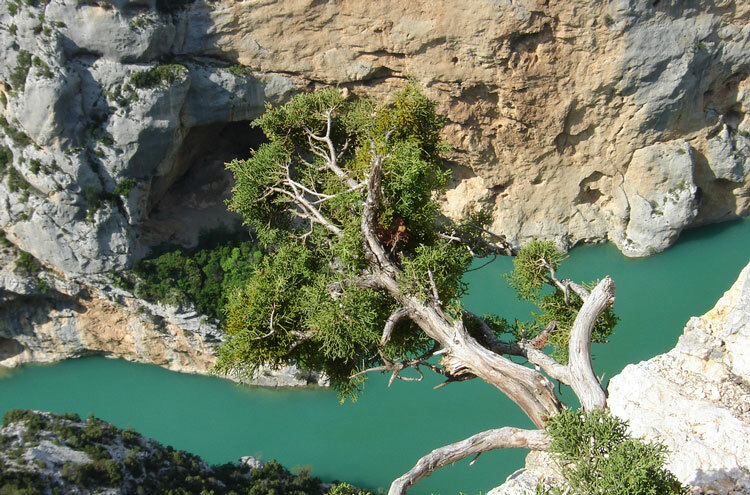 to satisfy even the most demanding enthusiast: from the Styx du Verdon (named for the mythological Greek river), a sub canyon with startling colours and pools, to the "Imbut", a site where the beautiful waters disappear below diverse rock structures, funneled down to appear elsewhere. 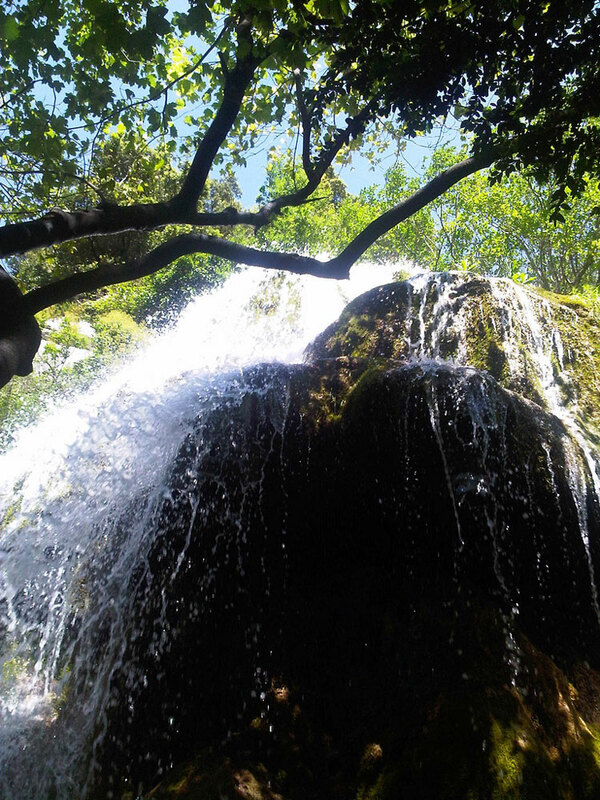 Lower Provence: For the longest trail, start at Grasse, an idyllic, ancient town, from which many trails lead out into the surrounding aromatic fields, the GR4 heads first in a steady climb to the Plateau de la Malle, with gorgeous views down to the beautiful Mediterranean coastline. The glimmering modernity of Cannes in the distance is sharply juxtaposed with the wild terrain in which you are suddenly immersed. Forging through vivid fields, you rise again to attain the barren limestone Plateau de Caussols, encountering beech and oak woods, waterfalls and tiny, hidden hamlets en route. A well-marked detour to Aiglun sees you rewarded by the sight of the gorgeous village located high on a hillside and surrounded by grand, precipitous reddish-orange cliffs. There is a Gite here which is famous for its food. 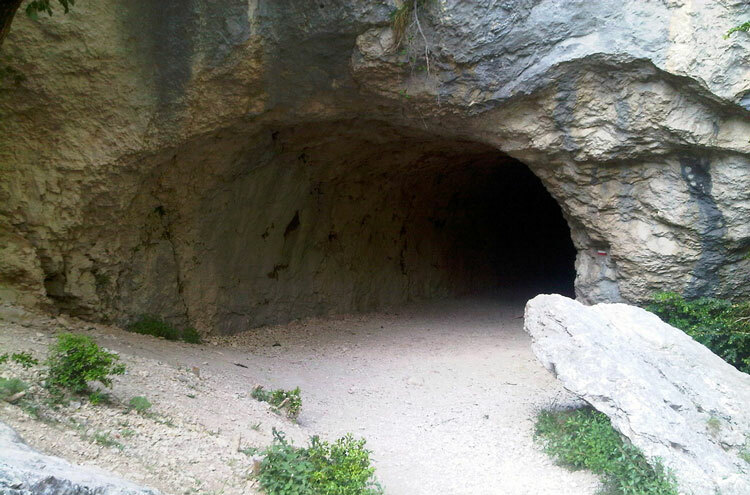 Near Aiglun is a very deep, beautiful ravine (Clue in the regional Provencal tongue), adjacent to the path heading north-west to rejoin the GR4. 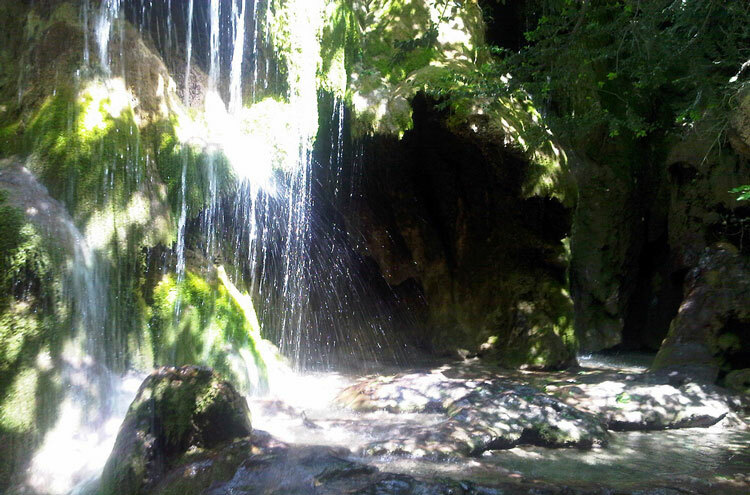 Then, passing pastures bordered by forests, and more ravines, you cross the Esteron River to reach Castellet valley. 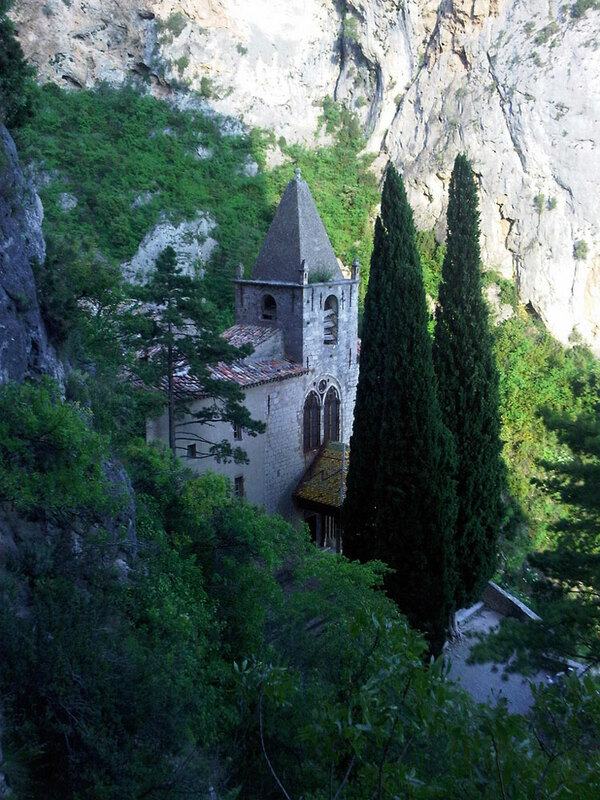 An easy climb through beautiful woodland gets you to fine views at Entrevaux. This splendid old town was fortified in the seventeenth century, and maintains much of its appeal. A particular treat is the citadel perched high atop a rocky outcrop. You discover the chapel of Jean du Desert, the destination of an annual pilgrimage by orders of monks, before arriving at Col de Vauplane, at 1650m the highest point on this trek. There are alpine flowers aplenty, fine views, and snow into early spring. 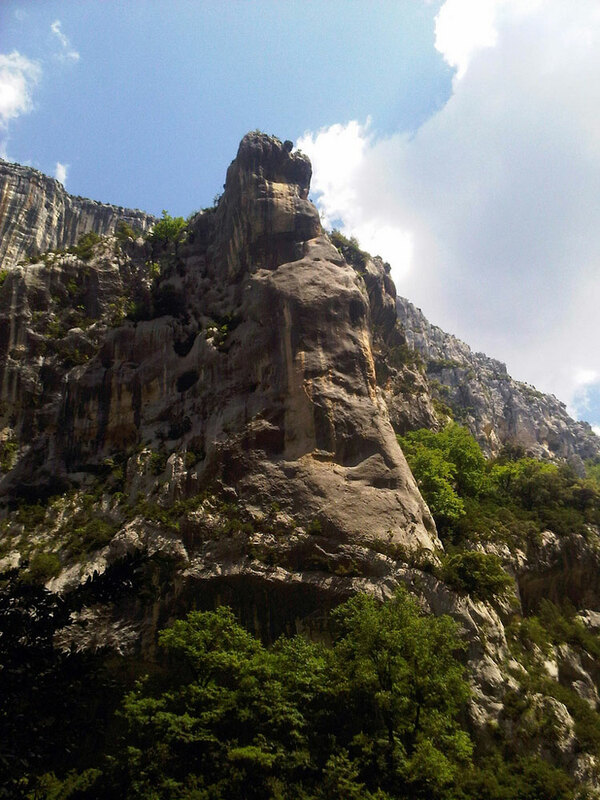 Later, after the hamlet of La Garde (927m), you pass the incredible Teillon Cliffs; a limestone buttress clearly showing different layers, twisted during the mountains? formation. Fossils abound in the vivid strata, thrust up from the seabed during tectonic activity. A short, flat path takes you to Castellane, Gateway to the Gorges. Here there is an excess of souvenir shops, a perfume farm, and the famous chapel of Notre Dame du Roc. 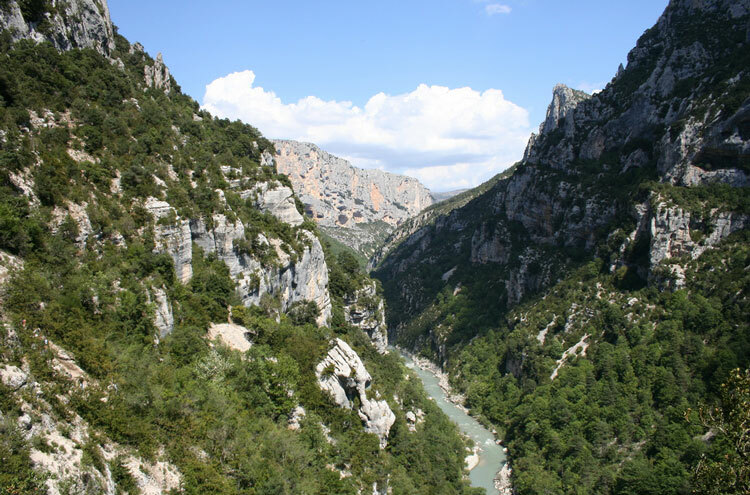 You can follow an ancient, worn trail up past oratories and Stations of the Cross to reach it; a short, atmospheric, circular walk marked in yellow, up to and around the rock, which gives wonderful views over the red-tiled roofs of Castellane and the turbulent, turquoise Verdon River. A shorter walk-in is the day walk from St-André-les-Alpes to Castellane, also through lovely countryside. The next leg of the trek follows the river itself, though it stays well above the valley floor, and eventually joins an old Roman road taking you over the Col de la Chapelle Saint Jean, then continuing up to another high plateau. 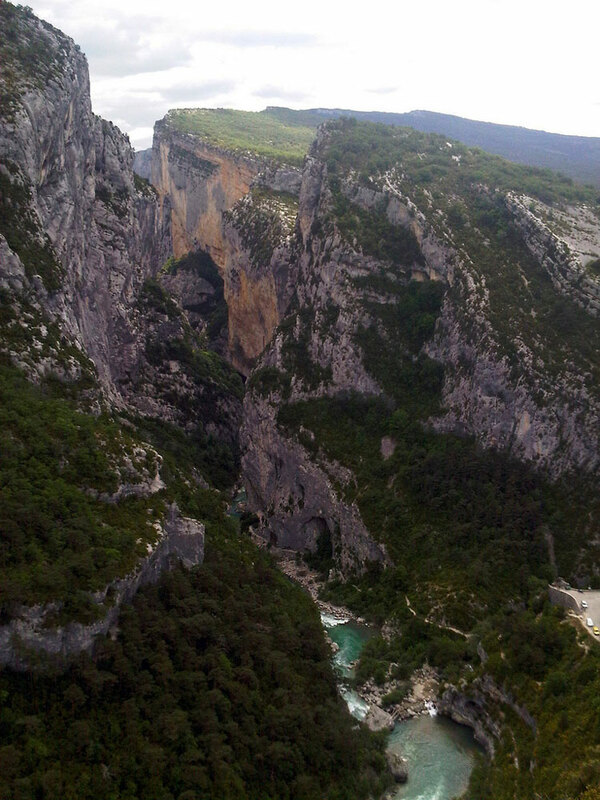 Far, far below huge cliffs mark the beginning of the main gorge, the Verdon River spouting and tumbling down into the chasm. 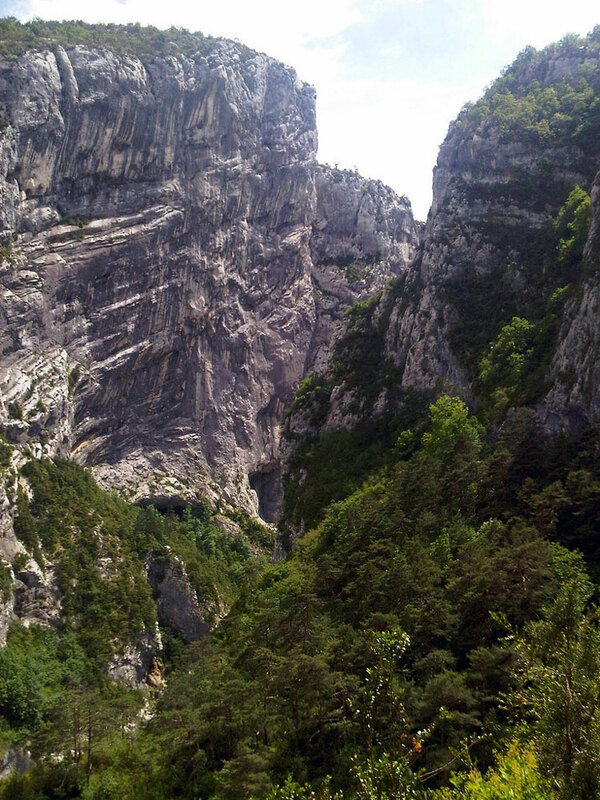 A good track leads down to the wonderful village of Rougon, with views over the gorge?s rocky depths and waters. Just below is Point Sublime: a dizzying, spectacular viewpoint. The gorge beckons. If you are attacking it as a single day walk, here is your start point. The route, named Sentier Martel after the geologist who first explored it as recently as 1906, quickly disappears between its towering cliffs. The path picks its intricate way through the bizarre geology. 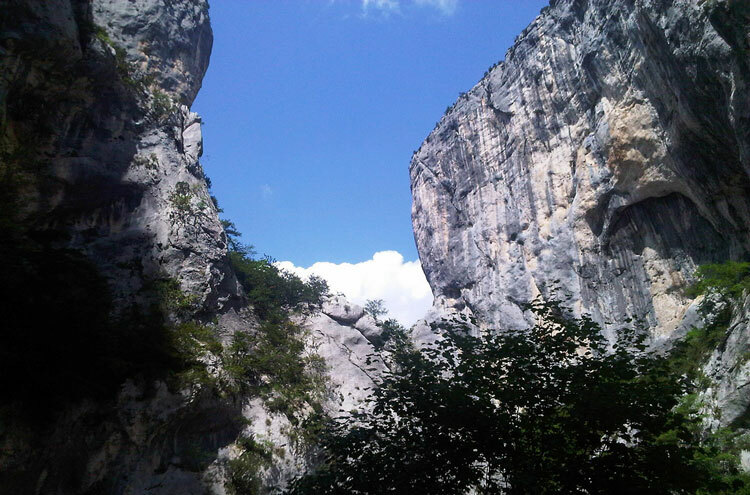 You encounter long tunnels (up to 600m) through improbable limestone buttresses; swift climbs and swifter descents; indolent stretches by the pristine waters; nervy clambers on ladders; the narrow Étroit de Cavaliers and l'Estellié's elegant footbridge. 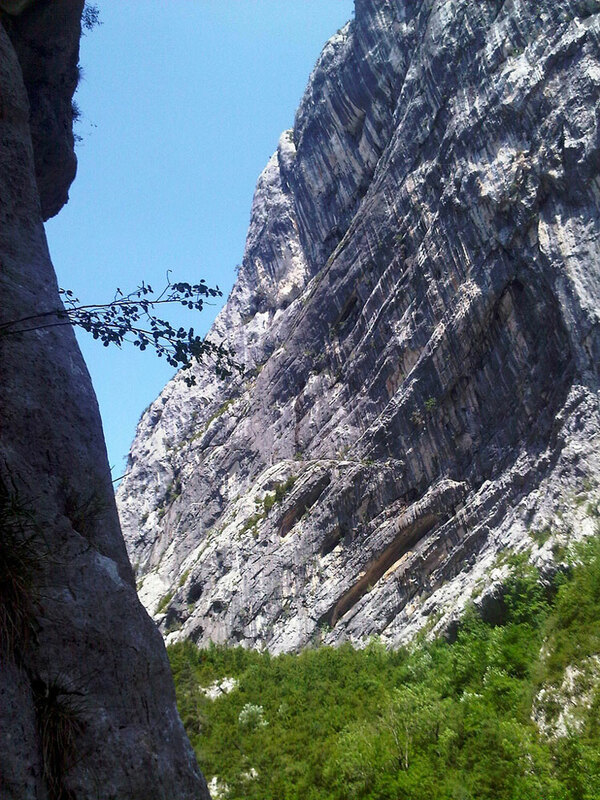 Somehow, forest manages to cling to the vertiginous walls, the reintroduced Griffon Vulture circling high above. Start early and only undertake this walk in good weather conditions. It can get very hot, although the river offers the perfect solution, and ladders up at the end will inevitably bottleneck on good days. 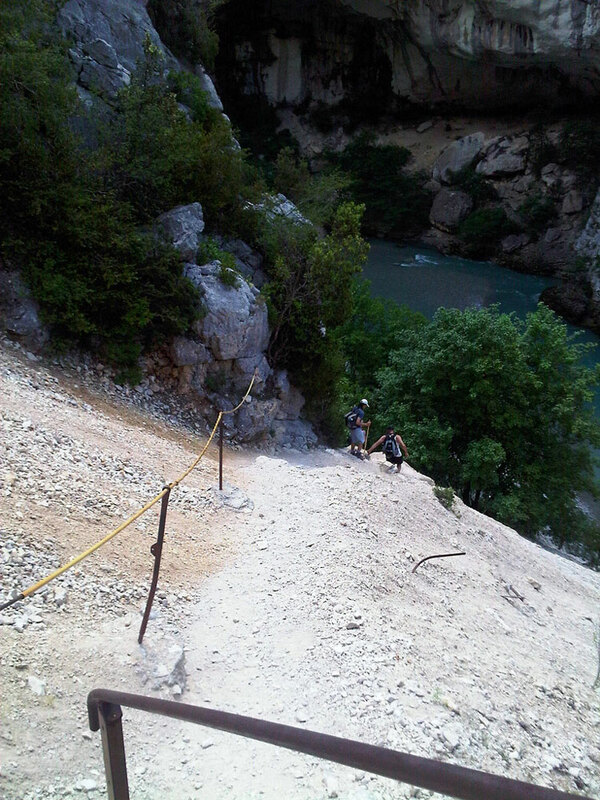 There are no exits until the end of the track at La Maline, a daunting switchback climb out of its depths. Here is a good hotel famous for its food, though it is imperative to book in advance. At La Maline, buses (check ahead for times!) run back to the car park at Point Sublime. From it, the GR4 follows the road into the village of La Palud-sur-Verdon, a more likely place to overnight but a substantial distance - around five miles - further on. Another day walk, taking in the lower Verdon Gorge, heads out of La Palud on an increasingly impressive route traversing round the Cime de Barbin, mainly on good, forest tracks. It is worth it. 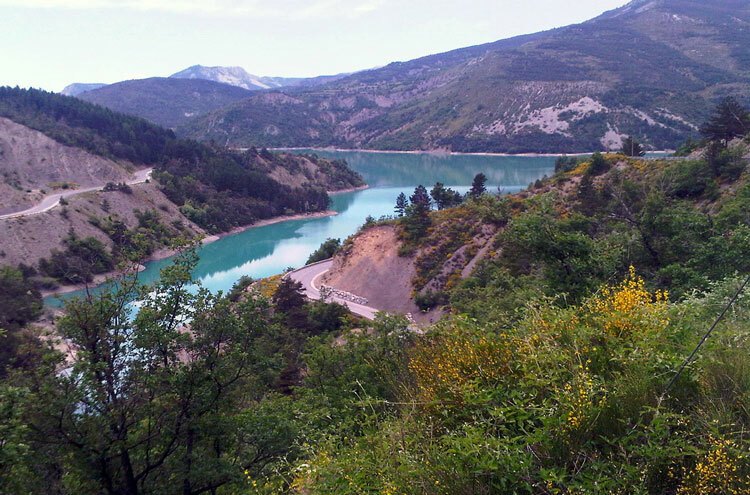 Views open up spectacularly, the huge Lac de Sainte Croix shimmering far below. 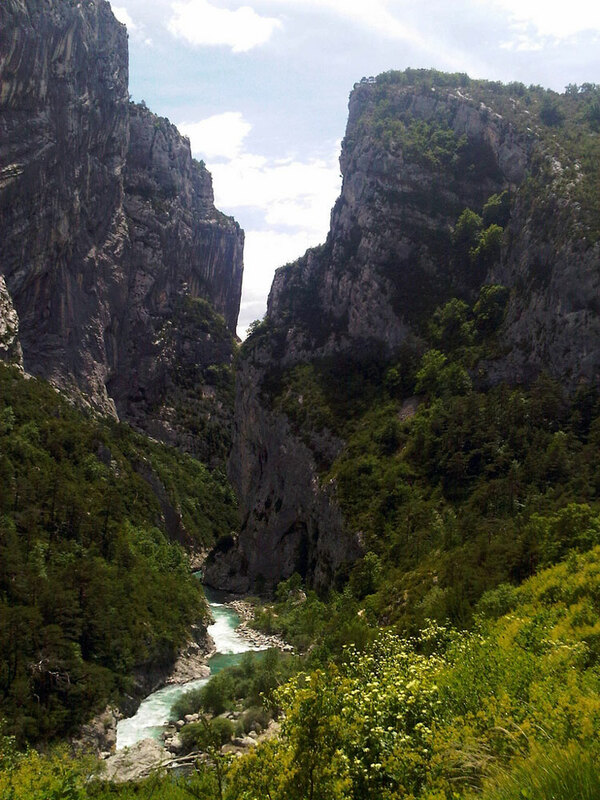 This trail can be done independently of the Verdon Gorge proper, and is beautiful in its own right, but it does miss out on the majesty of the plunging walls and rushing waters, even its ingenious path. Perhaps it is a best-alternative if you have children not yet ready for the gorge?s ladders and tunnels. The onward track is novel for its contrast to the gorge's enclosed, looming walls. Climb a high ridge through rocky, mixed forest. 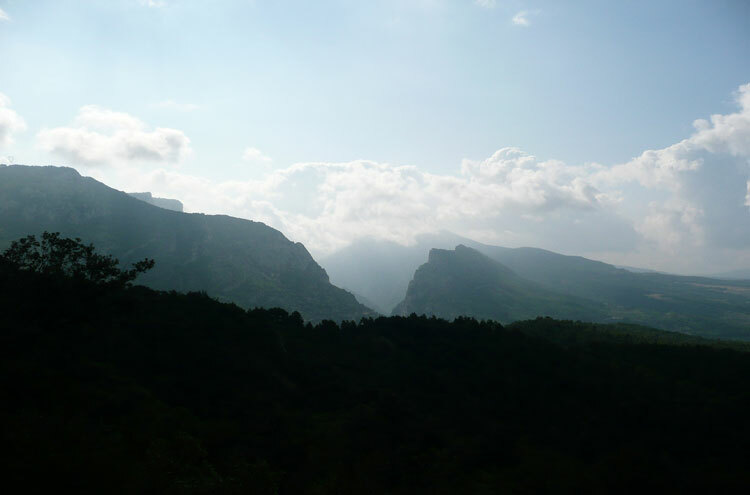 Improbably steep hillsides, on which the trail is indistinctly marked, wind their way down to a ravine and the gorge's road, taking you finally to Moustiers Sainte Marie with its sumptuous patisseries to reward your efforts. A voluntary extra day finds the Plateau de Valensole, emerging from the high hills into gentler terrain of lavender, grapes and apples, and old truffle-rich oak forest. You decant into a peaceful medieval town of Roman heritage, Riez la Romaine. 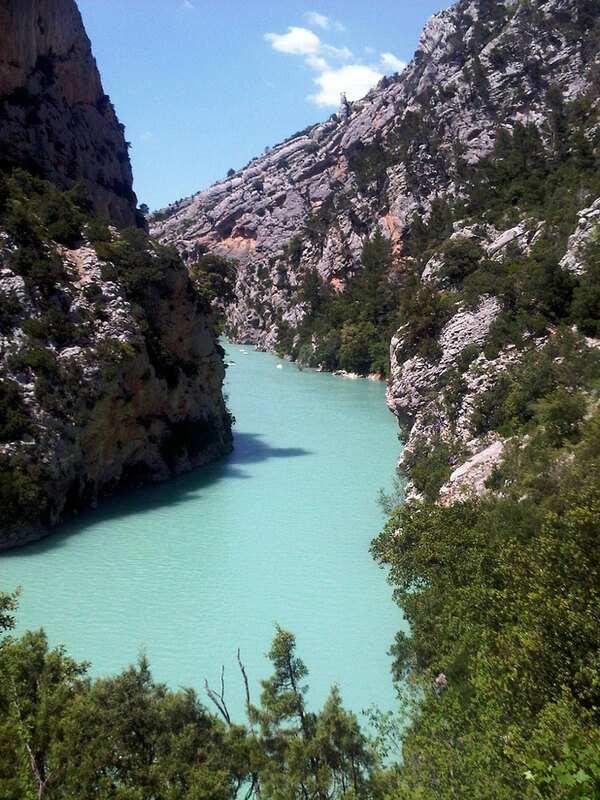 Day walks along the Verdon Gorge's rim are very feasible, although they often follow the (admittedly scenic) roads. All roads have regular, exhilarating viewpoints, some following closely the very edge of the gorge (e.g. the northern rim, with some spectacular views; the road itself is narrow and much less frequented than the other roads). I only did the short section of this from Les Cavaliers to L'Imbut (Sentier Martel was closed when we went). The walking in itself is not especially difficult, but there is a lot of exposure and some of the sections cut out of the cliffs were at around my limit for excitement. I declined to complete the scramble at the end to Biaou Bao. The Vidal exit route which turns this into a one way route rather than a loop is extremely steep and heavily laddered. It is very attractive place to be, but I enjoyed kayaking up the lower reaches far more than walking through it. I walked the Sentier Martel route today (30/03/2015). I walked from Rougon where there is good free parking. You can also park at Coloir Samson where the walk really starts but I had valuables in the car so didn't want to leave it there. I walked as far as the top of the Breche Imbert (ladders) then went back as the car was in Rougon. This took me approx 6 hours. The tunnels are very dark with some deep puddles so a torch is a must. Maybe a towel and spare socks as well. By the way, the ladders are actually stairs, very much like a fire escape. They are not too steep and are very safe. Most of the walk is a long way above the river apart from one spot just a few moments scramble down. The tourist office told me the route was blocked by rockfall but it was clear all the way.